With its latest generation being revealed in 2009, Toyota Prius finds its roots back in 1997.However since 2010 Toyota didn’t come up with any major change and this turned to be back drop for the model. Answering this call, company finally took the curtains off its all new Toyota Prius 2016. The Hybrid vehicle was unveiled at a press conference in Vegas and since then is facing rounds of speculations. 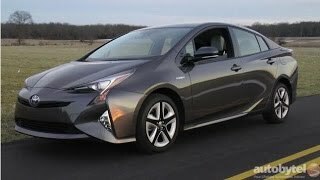 Let us have a look at the review of Toyota Prius 2016 to see how far speculations are true. The interior of Toyota Prius 2016 has everything that will make it stand apart from its predecessors. Up-front dashboard gets an impeccable touch of multi-layers with chrome trim separating compartment for all new infotainment system. The information cluster behind the three-spoke steering wheel holds its roots in the previous models. However in spite of several changes in designing, there is this one change that makes me a bit uncomfortable. I’m talking about the gear shifter’s size and position. The new design looks small and might turn to be located at wrong place. The neighborhood gets adorned with mobile phone charger and cup holder which indeed is a commendable integration. 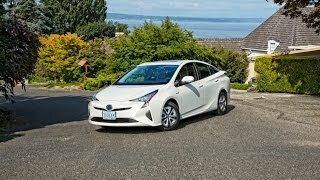 In all the interior of Toyota Prius 2016 despite some cons had a positive touch that I presume will gain back some of the company’s lost customers. The exterior of Toyota Prius 2016 portrays that this time company has put some extra effort in designing the model. Starting with the front fascia you’ll be having massive curved headlights that extend and make their way till the bumper. Hood this time gets a bit low stance with crease marching down to the centre and the front bumper gets air intakes that you might find resembling to some or the other model. Moving towards the rear fascia of Toyota Prius, the horizontal rear glass and the entire setup looks aggressive, especially with its vertical taillights and massive tailgate. 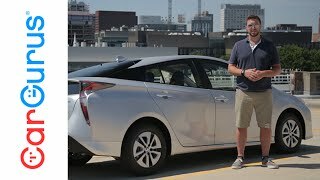 In all rounding up the exterior of Toyota Prius 2016 I would say, the design is worth a try. As the features to an extent portray the efforts company has made to change the lineup which was working since years. 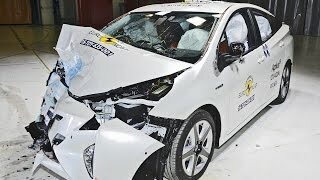 This is that one section of Toyota Prius 2016 regarding which we do not have any updates till now. May be company is looking for something big for this model. However you can expect a Hybrid engine beneath the hood of Toyota Prius 2016. Whatever it’s going to be I presume it to be something fascinating, let us better wait till the time company unveils the performance figures, engine details and top speed of Toyota Prius 2016.